Ford has made a commitment to invest $6.2 billion in infrastructure improvements to its current plants. These dollars will outfit existing lines to handle new models and will also expand capacity. 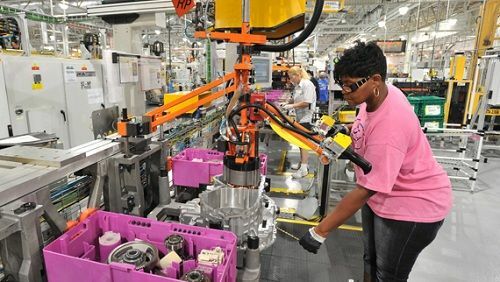 Ford claims that its next steps will involve $773 million in investments in Southeast Michigan. So far Ford has already made improvements in it plants to meet demand for fuel efficient vehicles, as well as the F-15o line of trucks. Coming improvements to Ford’s Michigan Assembly Plant, Van Dyke and Livonia transmission plants, and Sterling Axle plant will total approximately a quarter billion dollars. Changes to the Flat Rock plant will cost Ford $161 million, and huge modernization efforts at the Dearborn Stamping Plant will total a whopping $305 million alone. The most important news is that Ford will add 2,350 new jobs as a result of these massive investments in plants in Michigan.